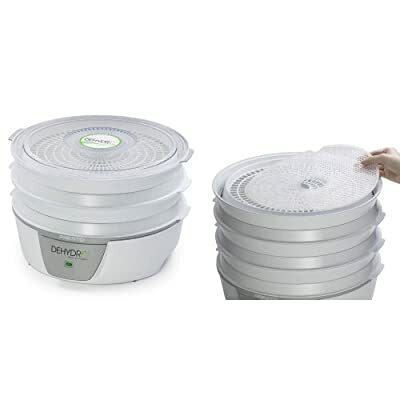 The Food Dehydrator Machine is an amazing appliance that every family should have in their home not just for your dog, but for your family as well. The number of products that you can dehydrate for your family is literally endless and if you are looking for a healthy treat for your dog, then try dehydrating beef, blueberries, salmon, chicken or even liver! One of the greatest things about using a dehydrator is that you can adjust the temperature to ensure that you stay within the temperature guidelines outlined in the Dog Cancer Survival Guide. With this dehydrator, the temperature does not go above 158?F which is perfect because almost no carcingogens are created!